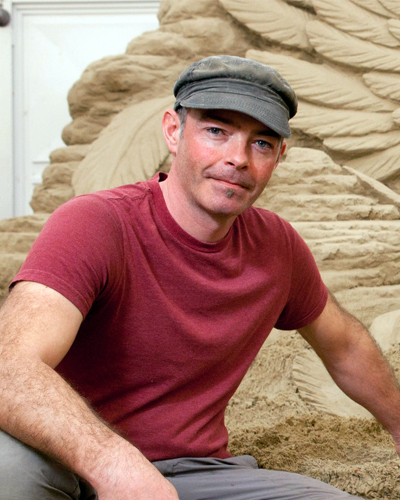 Fergus Mulvany born in Ireland, never thought about sand sculpting during his study of Fine Arts in Dublin. Even as a child he had no connection with sand as a material. But when he was randomly drawn out of hundreds of students to participate in a sand sculpture event in the Netherlands in 1993, Mulvany rapidly developed his passion for the material. From that moment on he competed at sand sculpture events worldwide. Nonetheless he also participated in exhibitions and events, working with other materials. During winter, Fergus focuses on snow and ice, as well he works with more traditional materials such as steel, wood, cement and glass. Regardless of the material, Fergus’s creative philosophy remains the same: “I’m guided by an organic process rather than a strict idea,” he says. And of course, sometimes he is simply guided by fate. 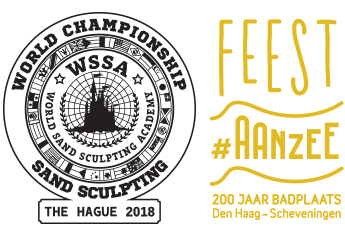 The World Championship Sand Sculpting 2018 in The Hague, which will be held from 4. June until 12. June, is about to begin. This unique competition, which is held every three years, will be happening for the first time in The Netherlands, at the Lange Voorhout in the historic city centre. The Championship is organised as a cultural event to celebrate 200 years Scheveningen Sea Side Resort.